Five school age Texas children may have been exposed to Ebola. 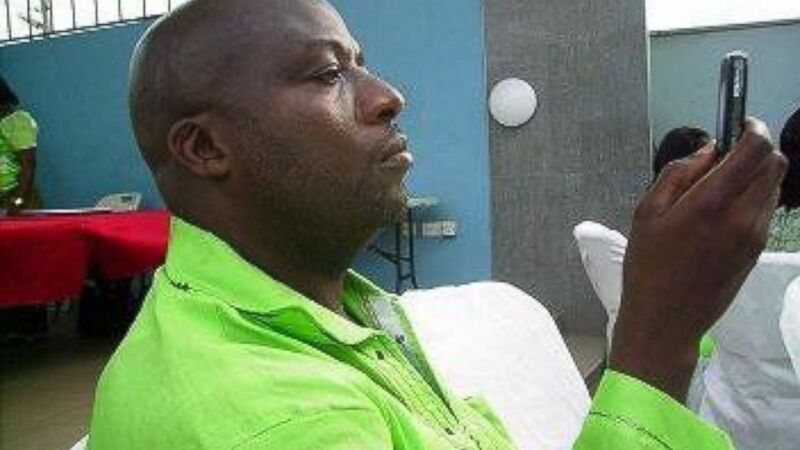 The patient who became the first person diagnosed with Ebola in the United States has been identified as a former chauffeur from Liberia who prayed with family members by phone Wednesday. The patient, Thomas Eric Duncan, is being treated at an isolation unit at the Texas Health Presbyterian Hospital Dallas. Duncan spoke on the phone Wednesday with family members who live near Charlotte, N.C.
“We talked today (with Duncan) and we prayed together with his mother and sister here,” said Joe Weeks, who lives with Duncan's sister Mai. Weeks said that the family is concerned that Duncan was admitted to the hospital and put in isolation on Sunday, but hasn't received the experimental Ebola drugs. “I don’t understand why he is not getting the Zmapp,” Weeks said. The manufacturer of the drug has said they have run out of the experimental medicine. Duncan's former boss in Monrovia, Liberia, said the patient had been his driver for the last year or two until he abruptly left his job in early September. Brunson didn't know where Duncan went until he saw him on the news as the Ebola patient in Dallas, Texas. Duncan's identity emerged as Texas health officials outlined efforts to track and monitor as many as 21 people Duncan had been in contact with since becoming sick over the weekend. Texas Gov. Rick Perry said that among the people being monitored were five school-aged children who may have been exposed to Ebola by Duncan. The children, who attended school earlier this week, have been sent home, Perry said. "Let me assure you, these children have been identified and are being monitored," the governor said. "This is all hands on deck," Perry said. The five students who were in contact with Duncan went to four different schools earlier in the week, but had no symptoms, officials said. Extra health workers and custodians will be on hand at those schools plus another nearby school that none of the children attended. The schools include three elementary schools, a middle school and a high school, officials said. (Thomas Eric Duncan/Facebook) Thomas Eric Duncan, identified by a former employer and seen in this undated Facebook photo, is the first Ebola patient to be diagnosed in the United States. "The students didn’t have any symptoms so the odds of them passing on any sort of virus is very low," said Dallas Independent School District Superintendent Mike Miles, adding that he learned of the students’ possible exposure Wednesday morning. Dr. Tom Frieden, director of the Centers for Disease and Control and Prevention, said today that it's "not impossible" that others will contract the disease despite an extensive tracking process is underway in the wake of the first Ebola diagnosis in the United States, with special focus on the patient’s family and health staff. “We have a seven-person team in Dallas working with the local health department and the hospital, and we will be identifying everyone who may have come in contact with him and then monitoring them for 21 days,” Frieden said. The city of Dallas, which has activated its Emergency Operations Center on "Level 2: High Readiness," said, "We are currently evaluating 12-18 people that the patient confirmed to have the Ebola virus was in contact with." In addition, the three ambulance crew members that brought Duncan to the hospital were tested for Ebola. The tests were negative, but the crew members were sent home and will be monitored for the next three weeks, the city said in a statement. Frieden believes the disease will be “stopped in its tracks” in this country. Duncan's safety, along with the well-being of the medical people treating him, is a primary focus, Frieden said. “What we need to do first in this particular instance is do everything possible to help this individual who’s really fighting for their life, and then make sure that we’re doing that, that we don’t have other people exposed in the hospital, identify all those contacts and monitor them for 21 days. It’s not impossible that one or two of them would develop symptoms and then they would need to be isolated,” he said. Frieden said he’s confident that passengers who flew on the same plane as Duncan did not contract the disease. “That was four or five days before he had his first symptoms and with Ebola, you’re not contagious until you have symptoms,” he said. Although American Ebola patients have been treated in the United States prior to this diagnosis, they all contracted Ebola in West Africa. Ebola has killed 2,917 people and infected 3,346 others since the outbreak began in March. Get real-time updates as this story unfolds. To start, just "star" this story in ABC News' phone app. Download ABC News for iPhone here or ABC News for Android here. To be notified about our live weekend digital reports, tap here.